Description: [1.4] I was in a funny place when I made this HUD. I wanted to focus more on the center of my screen, because I found that I looked at the bottom to check hp/ap all the time. So I made a HUD based completely on shades of color, changing for every value of 5. It worked for me, but I don't use it much anymore. However, it was too much work to just throw away, so I'm uploading it in the hopes someone else likes it too. It served a purpose, just like the old crazy crosshair files from my first HUDs. 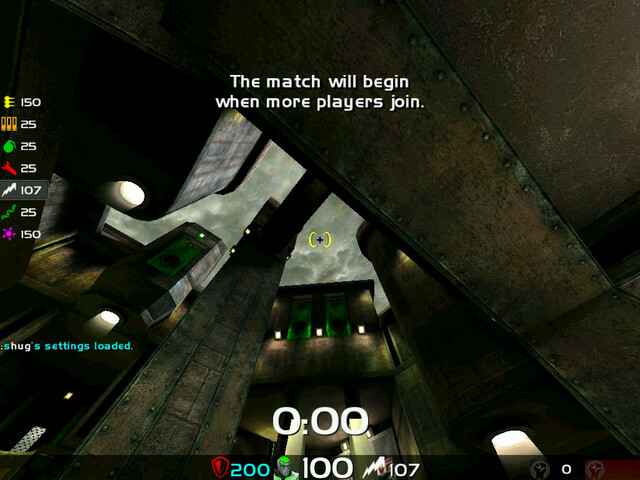 This version, like 1.35, includes a cg_weaponbar 3 friendly style, and also the instagib HUD. enjoy! Description: [1.35] Okay, so I made some changes to my old, beloved 1.3 HUD. In the spirit of creating modular, customizable, noob-friendly HUDs that move with button presses, I am hereby releasing the Anhyzr edition of 1.3. It always bothered me that my HUD wasn't compatible with cg_weaponbar 3, and I had to actually make a different version for my friend Anhyzr. So here it is. You can swap between the old look with cg_weaponbar 1 and the old scoreboxes, and the newer version with F11. This new version also fixes some small bugs from 1.3. 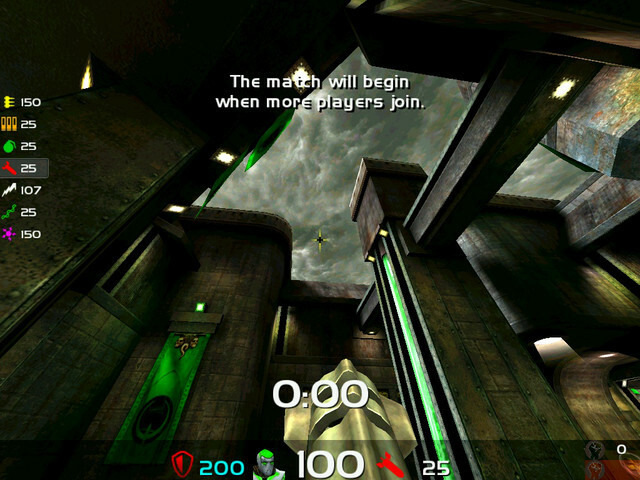 The standalone Quake Live launcher messed up the powerups, so that's fixed. 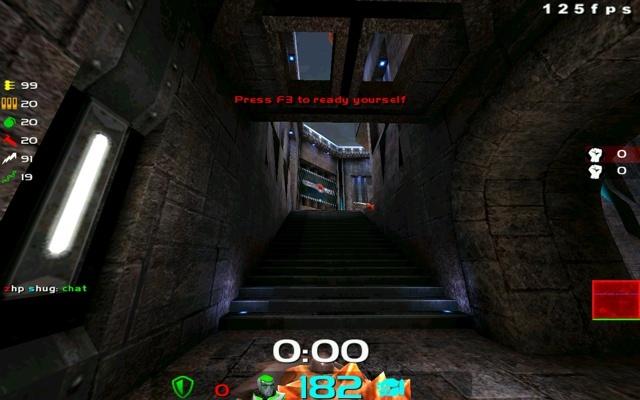 The instagib HUD is also included. Hopefully no more bugs and nothing missed in this upload. Description: [1.3] Okay, I think I finally got this thing all put together. An improvement on the 1.2 version. This one has no crazy crosshairs, I finally got past that phase. This HUD is more cut and dry than the previous, but I like it better and it's the HUD I've been using for over a year now. I made it while this site was down, so it's been hard to organize it post-creation. I hope I included everything correctly, most the old features are still implemented. 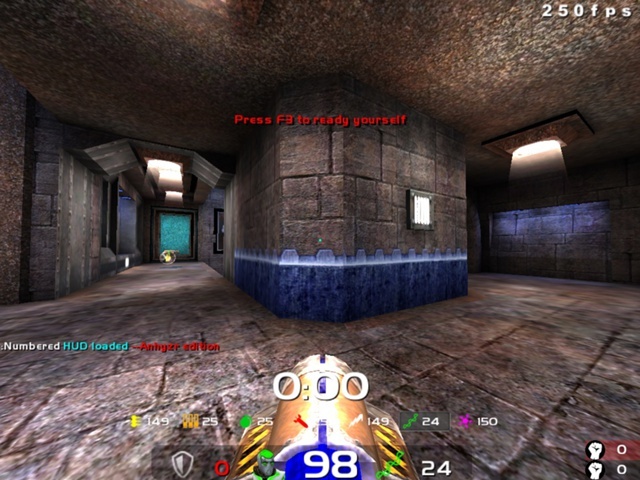 A readme (simplified and downsized), configs (same), my personal config, HL2 style box at the bottom, Quake 1 style organization, custom scoreboards mid-right screen, moveable speedometer, and a nearly blank instagib HUD. One more to upload that I also created during this site's downtime. Enjoy (I really hope nothing is missing)! 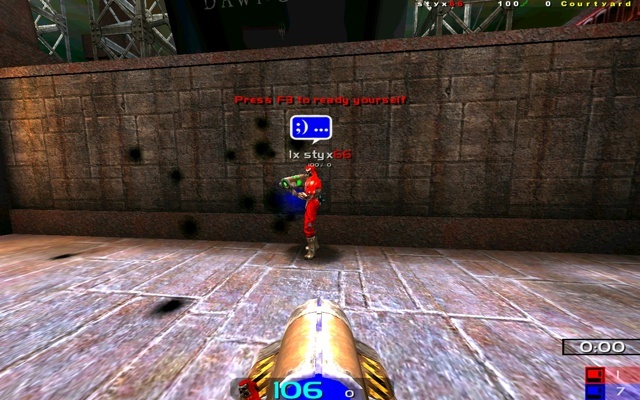 Description: (pic is instagib hud, not real hud) Glad to see this site up and running again! Have to dig through the HUDs I made in the downtime and upload them now, here's one. I can't remember all the changes, but here's some: changed black bar to a HL2-style box instead, I think I made some new crosshairs that're included and imbedded the same way as before (readme to walk you through various options of custom crosshairs or not and how to disable), and maybe some small changes here and there. 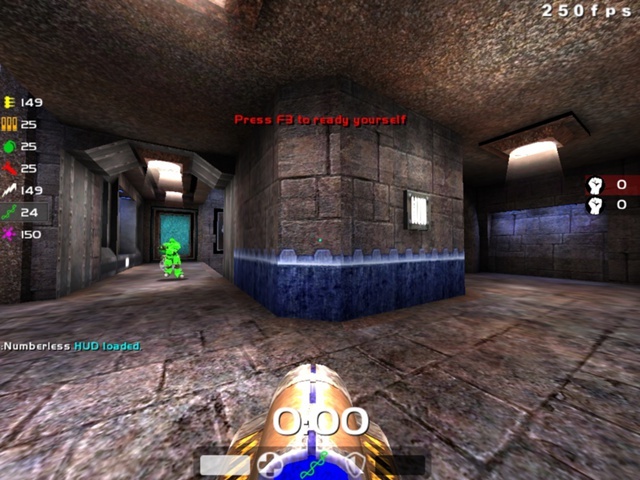 I included an instagib hud, which I improved upon afterwards, but I'm uploading this anyway. Description: Same as the last one, but smaller. Description: First hud, clean code, easy to edit. Colored health, armor, and even ammo values. Custom crosshairs for each weapon, different colors included. Timer is in bottom position for duel, FFA, and TDM. All other game modes it moves to the right, and is small. Speedometer optional and movable with a bind. Takes some setup, but all is included in the readme, explained so that even if this is your first custom HUD you should be able to install it correctly.